Shawnee students are part of an extended college family that works to assure student success through great organizations, close academic support and character-building experiences. 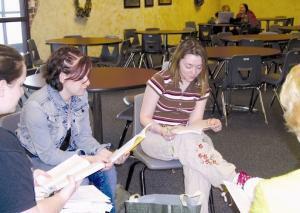 Shawnee Community College considers clubs and other student organizations an important asset to college life and encourages their formation. Extra-curricular activities provide students with opportunities to enhance their educational experiences, make new friends, learn new skills, develop lifelong interests and learn through practical experiences. For this reason, the college is committed to the provision of a comprehensive program of student activities of which student clubs and organizations are an important part. Students have the opportunity for membership in social, service, interest and professional organizations. Clubs are considered an asset to college life and their formation is encouraged. Ag Advocates will commit time to education in schools and the community, program recruitment, promotion and community services, and student leadership development in Ag related programs. The Art Club is an organization that provides members with meaningful extracurricular artistic experiences. Participants of the Art Club will help with normal maintenance of the art studio, organize various art exhibitions in the school and other locations, organize fund-raising activities for the club, organize a visiting-artist program, and travel to various art museums. 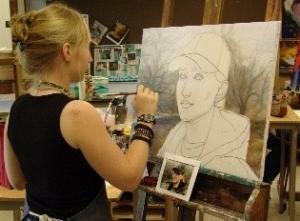 Art Club is open to all students who are enrolled in studio art classes. The Club has two major fundraisers to raise money for two major field trips. The field trips are always to art venues in the Midwest, such as sculpture parks or art museums. The Art club will have fundraisers, to raise money for the annual field trips. They will also host the high school and intercollegiate art shows. To join the Art Club you must be a studio art student. Art club members participate in club fundraisers and help with setup of the high school and intercollegiate art exhibits. The Cosmetology club will promote the multitude of opportunities within the field of cosmetology by encouraging participation in workshops and classes provided by the product companies and beauty supply companies that provide services to our department. An additional purpose will be to raise money to help defray the cost of tickets for hair shows, outside continuing education classes and other activities the students may be interested in attending. 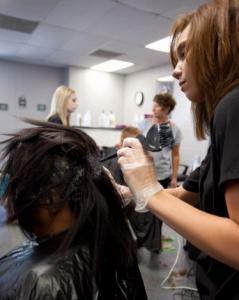 The club will also provide an opportunity for the students to support and encourage each other in their personal and professional interests and goals, and to promote the field of cosmetology as a viable career choice and the Shawnee Community College Cosmetology Department as the best education opportunity for that career. The SCC Drama Club seeks to promote interest in theater among SCC students, faculty, staff, and the community. The organization will introduce members to theatrical experiences of all kinds; not only musical productions but also through regular meetings, guest speakers, and field trips. 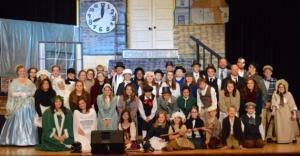 Some of the organization’s goals are to expand SCC theater offerings by lobbying for new classes and new productions, to aid in the production of SCC’s fall and spring musical productions, to share information and experiences about theater with all, and to serve our community through theater in any way possible. The purpose of the Future Teacher’s Organization is to inform students on upcoming trends and movements in education, transferring and certification updates, and to perform community service projects that will enhance the education of students in our area. One of the community service projects of F.T.O. is to establish Jr. Future Teachers Organizations in the area school systems. 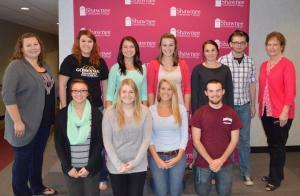 These Jr. Future Teachers will be encouraged in leadership activities, setting high goals, and community service. Look for Jr. Future Teachers Organization in your public school system. 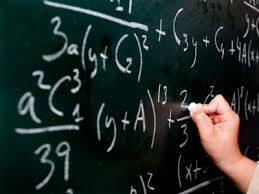 To develop a better understanding and appreciation on mathematics and science to sponsor projects aimed at the achievement of this. The Music Club was formed in 1986 by ShawneeCommunity College students to serve as a social and professional organization to support music education and performance. The group regularly organizes trips to national cultural centers such as Nashville Chicago St. Louis, and New York City. The club also helps support the Music Department and has donated recording facility equipment and MIDI workstations. 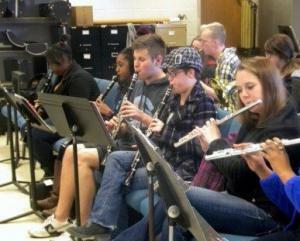 The Music Department offers opportunities for Music Majors and Non-Music Majors alike. SCC offers standard performance classes such as Band and Choir, as well as the “Hot Topic” subjects of MIDI (computers and music), Music Business, and Recording Technology. The Music Department offers many performance opportunities throughout the year, and also sponsors special guest performances. 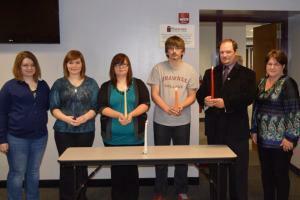 Phi Beta Lambda is an education association of students preparing for careers in business and business-related fields. PBL’s Mission is to bring business and education together in a positive working relationship through innovative leadership and career development programs. Business teachers/advisers and advisory councils (including school officials, business people and community representatives) guide local chapters. State advisers and committee members coordinate chapter activities for the national organization. 1) Institute for Leaders – This four-day seminar is a focused leadership experience for state and local chapter officers as well as members and advisers. It offers a unique chance to build leadership and career skills that last a lifetime in tracks focusing on entrepreneurship, communication and FBLA-PBL leadership. It is held in conjunction with the National Leadership Conference each year. 2) National Fall Leadership Conference – Each fall, new leaders and advisers from chapters across the nation gather for regional conferences designed to guide and motivate their success for the year. This includes workshops, seminars, and a plenary session, as well as the benefit of networking among their peers from other cities. Students interested in joining must have completed, or currently be enrolled in, at least one business course. Phi Theta Kappa has recognized academic excellence in the two-year college since 1918 and has become the largest and the most prestigious honor society serving two-year colleges around the world. Membership is based primarily upon academic achievement. Invitation to membership for Shawnee students may be extended only by a member of the Shawnee Community College chapter. 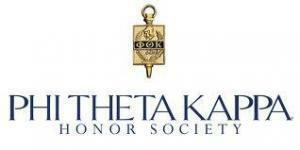 Established by Missouri two-year college presidents in 1918, Phi Theta Kappa International Honor Society serves to recognize and encourage the academic achievement of two-year college students and provide opportunities for individual growth and development through honors, leadership and service programming. Today, Phi Theta Kappa is the largest honor society in American higher education with more than 1.3 million members and 1,100 chapters located in 50 United States, U.S. territories, Canada, Germany, and Japan. In 1929, the American Association of Community Colleges recognized Phi Theta Kappa as the official honor society for two-year colleges. Students must have completed at least 12 hours of coursework leading to an associate degree program (part-time students may be eligible). Students must generally have a grade point average of at least 3.5 on a 4.0 scale. And students must enjoy full rights of U.S.citizenship. 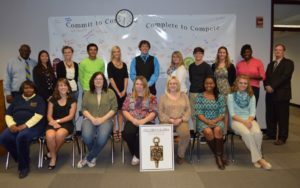 Membership in Phi Theta Kappa Honor Society will open new doors for your academic journey. The organization offers a myriad of opportunities for scholarships, intellectual enrichment and personal development through programs based on Phi Theta Kappa’s four hallmarks of Scholarship, Leadership, Service and Fellowship. 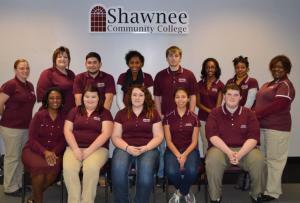 Shawnee’s College Bowl Team participates in competitions with other community colleges in Southern Illinois each September, October, November, February, and March. There are five competitions: two regional, two conferences, and one practice. This academic trivia competition is open to both full and part-time students. Team members exercise their agility in spontaneous problem solving and recall of information in a Quiz Bowl format. Scoring is cumulative for each school during the annual competition. Teams change frequently with substitutions and rotations. Emphasis is placed on improvement in problem solving skills and increased knowledge. Open practices begin in early September. Members of the intercollegiate team must be enrolled in at least six credit hours and have a minimum cumulative GPA of 2.0. 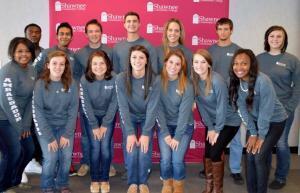 The Student Ambassadors are made up of 15 students that represent each high school district. Ambassadors play a very visible role at the College – assisting in student recruitment, serving as ambassadors to area high schools, being role models to other traditional students, and participating in numerous cultural events at the College and in the community. Ambassadors receive a scholarship that covers the student’s tuition. For More Information contact Lindsay Johnson at 618-634-3372. This organization was started to allow students, faculty, and staff the opportunity to broaden their horizons by reading and discussing a book that the students have chosen. It allows SCC students an outlet and the opportunity to engage in academic discourse outside of the classroom, and encourages students to develop critical thinking skills. It also provides for the development of social skills since it is a discussion-based forum. The Student Senate is primarily responsible for promoting the welfare of the student body and the development and guidance of student social and cultural activities. This organization is made up of seven students elected by campus-wide referendum and one representative from each extension center. Three sophomores will be elected annually during the spring semester and four freshmen will be elected at the beginning of the fall semester. Students with fewer than 30 credit hours will be considered freshmen; those with 30 or more credit hours will be considered sophomores. All official student activities must be pre-approved by the Vice President of Student and Administrative Services. Be a full-time student carrying 12 or more hours. Be in good standing with the college (must not be on academic or conduct probation). Have an overall grade point average of 2.50 to gain and maintain membership (Does not apply to first semester freshmen). Be initiated in the semester in which it is awarded and can be maintained for 3 consecutive semesters (fall, spring, summer). Failure to meet these requirements means automatic loss of senate membership. The Shawnee Community College Student Senate meets regularly and on occasion is called into special session upon approval of the Vice President of Student and Administrative Services. The Vice President of Student and Administrative Services or his representative must be present for a meeting to be considered official. The Shawnee Community College Veterans Club is an organization that provides members with meaningful interaction and activities with other veterans who have similar past experiences and current life situations, due to prior service in the military. Workshops, such as information regarding veteran educational benefit changes, and guest speakers geared toward helping college veterans transition into the college environment more smoothly. Helping veteran students regain a collective sense of camaraderie and “family” through the club meeting discussions and the various club activities. The opportunity for veteran students to share their veteran and current life experiences with other veterans. Giving back to their community by participating in various club activities. Gaining leadership experience by organizing fund-raising activities. The opportunity to help currently serving troops by organizing activities that promote and provide support. Access to the Veterans Resource Room, located just past the Main Campus Bookstore, provides an area for Veterans to study, utilize the internet, and access Veteran resources.